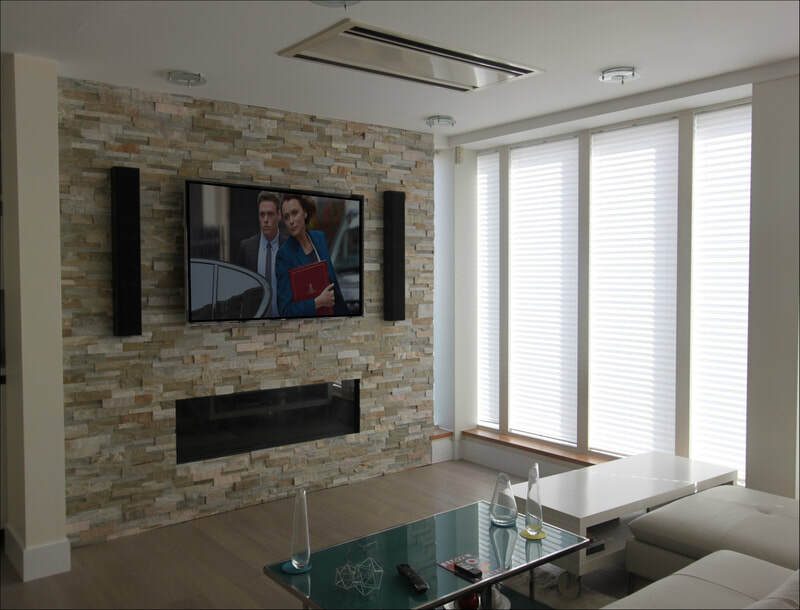 These clients approached us to create a system for their penthouse apartment in London. The focus was to be superb audio playback including vinyl abilities but with minimal impact on floor space. The system also had to deliver great movie playback too. 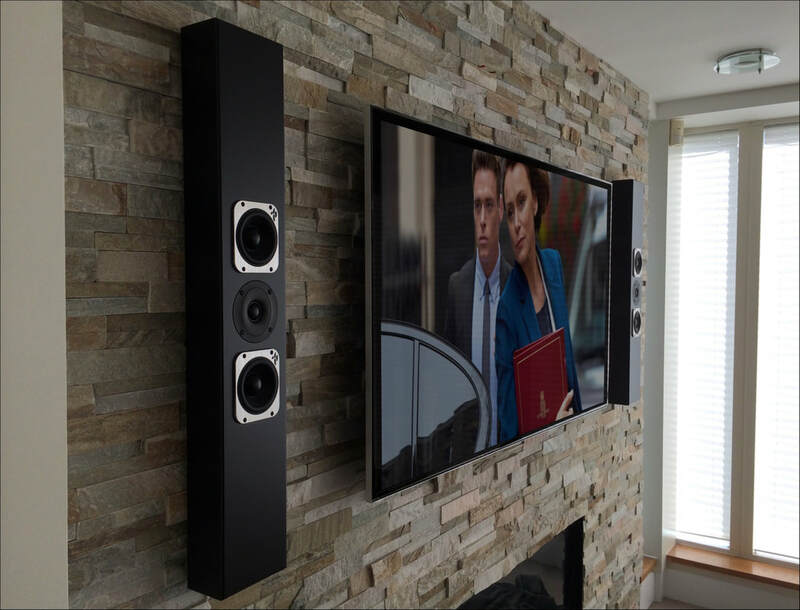 We used a favourite combination of Naim amplification with Totem's amazing Tribe on wall speakers to create a fantastic 'wall of sound' that didn't take over the room. An Avid turntable enables playback of the couples ever growing vinyl collection and the television is connected to various HD sources as well as catch up services to provide a simple, elegant yet powerful system. A small bespoke equipment rack was commissioned and located around the corner out of sight. This houses all the electronics including the Velodyne subwoofer. The Avid turntable is displayed on its isolated shelf for easy access when changing LPs. 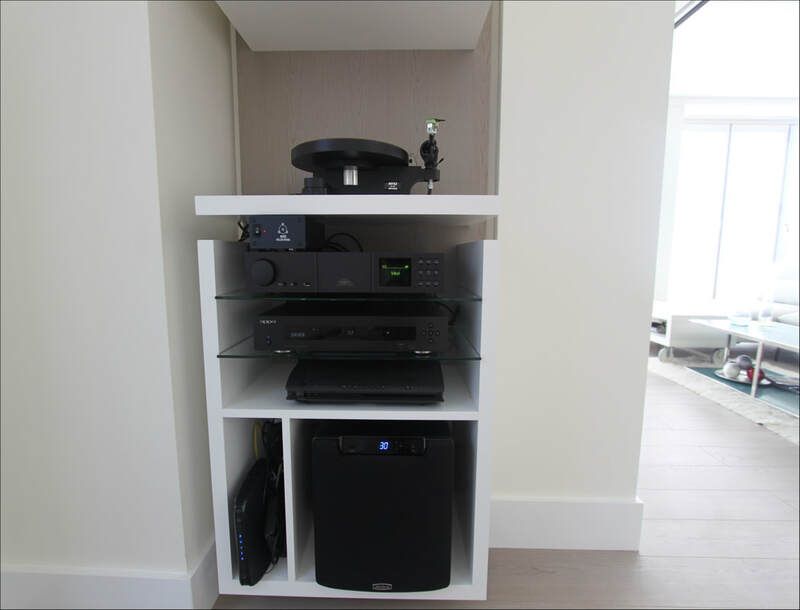 A small bedroom TV system was added later, using the wonderfully compact yet versatile, Naim Mu-so to provide solid sounds to any movie or TV show.